Expected, but sensational and terrifying for the whole world admission was made by the US Ambassador to NATO, speaking about the sources of information about the events in Ukraine and Donbass. It turned out that the USA, calling itself a superpower with a mission “to decide the fate of the world economy and geopolitics” in their decision making rely not on intelligence, but… on publications in social networks. “I can honestly say that I read more in social networks about what is happening in Donbass than in the official intelligence reports. Because an intelligence network does not exist today”. However, he immediately began to make excuses that “early warning systems,” similar to those that existed in the cold war period, do not currently exist, and not only in USA, but also all NATO countries.” And, of course, began backpedaling, saying that “the United States is not ignoring the intelligence, but the entire intelligence system of the United States and NATO have changed in a fundamental way”. 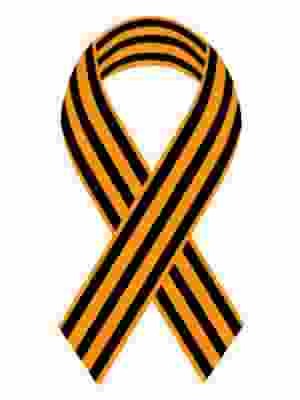 That is the United States, declaring their right to a military solution to conflicts in other countries, the willingness to defend NATO allies (read – to start a war) without a decision of Security Council, sending instructors and equipment to Ukraine, surrounding Russia with military compounds and NATO bases do it on the basis… of accounts in social networks. Which are written by the “information troops” of Ukraine, constantly distorting the situation, leaking fakes, quoting nonsense (alas!) of the Ukrainian media – working for public money, which Ukraine currently receives… right, from the West. But America has officially stated that it is “creating cyber troops who will be engaged in propaganda of the American view on Ukrainian events on the Russian internet”! And this is besides Snowden’s revelations about the existence of the special center of the U.S. and Britain engaged in spreading disinformation, provocation of protests and information wars – including in Russian. Of course, you can laugh, “now it is clear why the US and NATO are not able to provide documentary evidence of Russian troops in Ukraine” and sneer over the representatives of the State Department – Harf and Psaki. But it came full circle. And this circle, as you know, is very dangerous. “No one wants a World War III because America, relying on social networks, will bring in troops somewhere, will announce sanctions of the highest order or will begin a fight with the Russians. Especially when along with the NSA and civil society activists, subsidized by American grants, it is manipulating these social networks”, – commented the Americans. And indeed, we should recall the statement of the Under Secretary of the U.S. Department, reporting that the White House “won’t rule out military options in response to the policies of Russian Federation”. It is reminiscent of the fake [Gen. Colin] Powell evidence – after which began the intervention in Iraq, fake photos of mass deaths of the Libyan people and other evidence, beneficial to the US, which later turned out to be false. the majority stated that the biggest threat to the planet comes from the United States. Are the six NATO warships in the Black Sea studying Crimea’s defenses in preparation for an invasion? Six NATO warships are conducting war games in the Black Sea. “The Black Sea navy staff is closely monitoring all the activities of the North Atlantic Alliance in the region,” – said the officer of the Russian Black Sea fleet in Sevastopol. All six ships – the American missile cruiser “Vicksburg” the type of “Ticonderog”, canadian frigate “Fredericton”, the Turkish frigate “Turgutreis, an Italian frigate “Alesia”, the Romanian frigate “Regina Maria” and the German supply ship “Spessart” – are part of “the second marine group of NATO”. 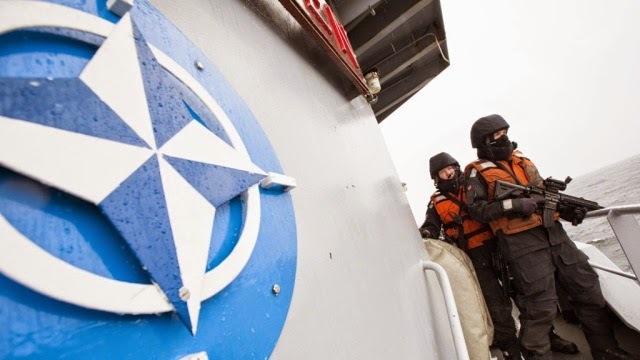 “We closely monitor the movements and actions of NATO ships, because regardless of the legend about the exercises, the activities of the ships of the Alliance are aimed at studying the defenses of Crimea“, – said the officer. According to the source, the recently relocated to Crimea, latest Su-30 and front-line bombers Su-24, which are in constant contact with the ships of the Black Sea Fleet, in particular with 519-m separate division reconnaissance ships, are involved in monitoring the NATO group.